In light of the amount of games primarily designed to provide players an experience of abundance and replayability, there’s something refreshing about a video game with no pretense other than to tell you a good story and expose a chunk of your humanity in the process. That’s essentially what A Normal Lost Phone is. It isn’t very long, and it doesn’t have much replay value, but it isn’t trying to. It is cognizant of what it is and what it sets out to achieve, and accomplishes it beautifully. A Normal Lost Phone was developed by Accidental Queens and centers on the premise of you finding a lost phone, discovering who it belongs to, and in doing so, learning about its owner. 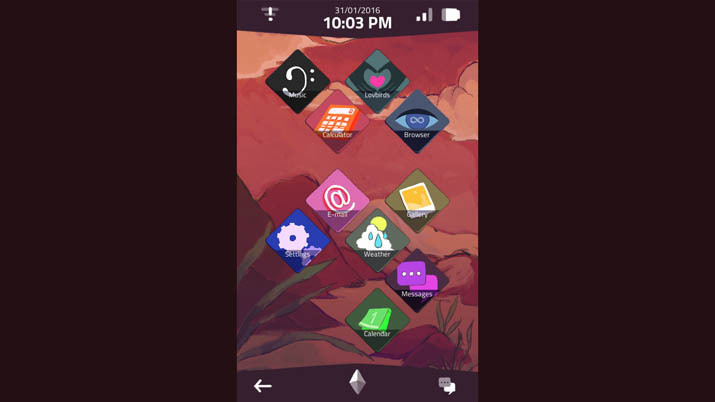 All gameplay takes place on the phone itself, allowing you access to an assortment of apps, such as messages, email, and a calendar. As you progress, you unlock more apps to use and advance in the story’s narrative. There’s a strong balance created between providing information readily available and locked off areas that require a password to enter them. This consequentially makes the story all the more intriguing, as you’re given just enough information to become invested in the story and protagonist, but denied learning more until they sift through previous information for the correct passcode. Because A Normal Lost Phone is a narrative-based game, it’s difficult to review it properly, as discussing the story in depth would spoil your enjoyment. I can tell you that the narrative expresses sensitive and controversial issues, and does so intelligently. Characters and events throughout your experience will invoke hope, despair, joy, and sorrow, and because of how realistically natural some of the dialogue feels, you’ll find it easy to sympathize with the main characters. You’ll be involved in their struggles. Each character’s unique personality takes shape through cell phone texting. Father always puts “Dad” at the end of his messages, and uncle types in all caps. It’s little things like these that add up and make A Normal Lost Phone feel more real than it is; in fact, multiple times did I forget the experience was fictional, because all these characters and their exchanges are common experiences that anyone with a phone plan, rich and poor, experiences through the routine of their daily lives. 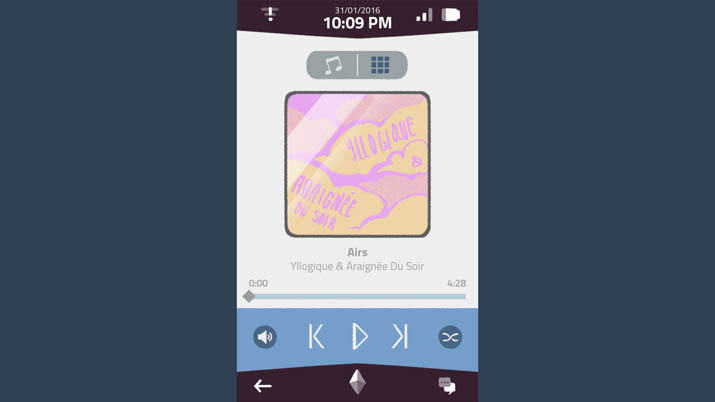 To make the most of its immersive narrative, A Normal Lost Phone enjoys a great soundtrack with a variety of music genres. As one would expect, you can use the music app on the phone in-game to change the song being played. It’s well designed, having options like pausing a song, controlling the volume of the music, and putting the playlist on shuffle. Throughout my two or so hours of gameplay, the playlist did repeat itself a few times, but each song was good enough in its own right that I didn’t mind. Despite A Normal Lost Phone’s originality, there are a few problems. To progress, you’re often required to go through your phone’s archives and retrieve passwords. These are mostly dates of the year, which would be a no brainer if the game made mention of the fact that it uses the date format from the U.K. (dd/mm/yyyy). Although it might sound silly to mention, the U.S. player base would surely find this confusing at first; it was for me, and took some time getting used to. More problematic for all is the fact that some of these passwords are hard to find because the hints are too vague. Narrowing down candidates to try as codes is, at times, too much of an intimidating task. There are also scenarios where A Normal Lost Phone feels a little preachy in its message, but never overtly so and given the subject material, these voices of morality work to some extent. All in all, issues with A Normal Lost Phone are minor and don’t intrude on or diminish the experience to be had.